Care for the silliest, most adorable baby twins ever! 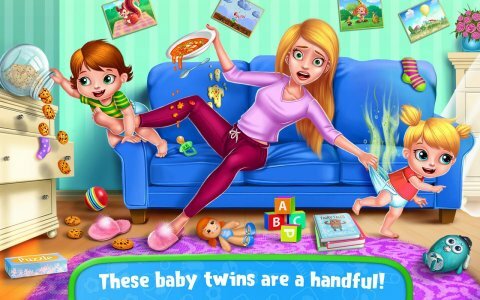 Take care of the cutest, wildest baby twins ever! Sure, these babies are a handful and love to get into trouble, but they're also tons of fun! 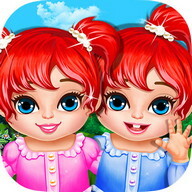 Dress up your twins in adorable clothes, feed them yummy snacks, care for them at the doctor & so much more! 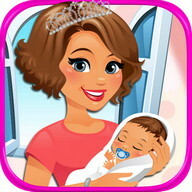 > Dress up your babies in adorable matching outfits! > Design unique clothing & accessories for your baby wins! > Decorate your babies’ bedroom! Build cribs, chose room decorations & more! > Feed & care for your baby twins yummy snack! Don’t make a mess! > Give your babies a warm bubble bath! 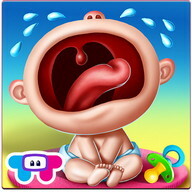 > Doctor Care - check your twins’ throats, give them medicine & help your babies feel better! 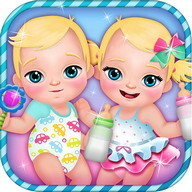 > Paint, play & solve puzzles with your hilarious baby twins! 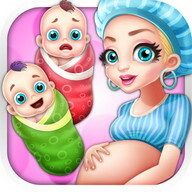 Download Baby Twins - Newborn Care game for for Android mobiles - one of the best Android Games for free! At PHONEKY Android Games Market, you can download mobile games for any phone or tablet absolutely free of charge. Nice graphics and addictive gameplay will keep you entertained for a very long time. At PHONEKY, you will find many other games and apps of different genres, from adventure and action to the logic and racing Android apk games. Download free Android games and apps to your mobile phone, tablet or computer. To see the Top 10 best games for Android, just sort games by popularity.